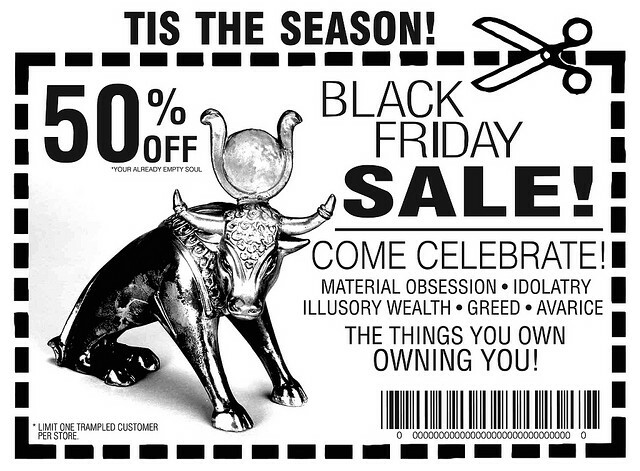 Discourse on idolatry has come a long way since the Israelites’ worship of the golden calf — an idol built by the Biblical Aaron in the absence of Moses, as described primarily in Exodus 32 of the Hebrew Bible. However, the materiality of religious symbols is still controversial and gets remediated in novel ways in online and offline environments that deserve our attention. Most widely popularized is the discourse of Christians – both Protestants and Catholics – opposing the veneration of modern materiality and separating the pure (spiritual) from the impure (worldly). In a homily on February 13th, 2014 at his home Casa Santa Marta at Vatican City, Pope Francis warned fellow Catholics about the dangers of material goods and idolatry. He encouraged them to pursue God instead of their own passions, drawing parallels to the Old Testament figure of Solomon losing his faith to idolatry despite being considered wise. The Pope warned that worshipping created things leads to egotism, vanity, careerism, and corruption. Rendering that it is so simple, yet so difficult, he concludes that a weak faith produces a weak body since the worship of the material has power over a person’s body and mind. Here, the Pope touches on common neoliberal ideas of social mobility through material possessions, a pervasive concept in the US that gets continuously reproduced as the American Dream: chasing cars, homes, and technologies for status and gratification. Some fear the power of technological developments in changing societies and their histories. Like faith, they argue, technology changes people and societies inherently, because society organizes itself around technology and in turn develops the same. 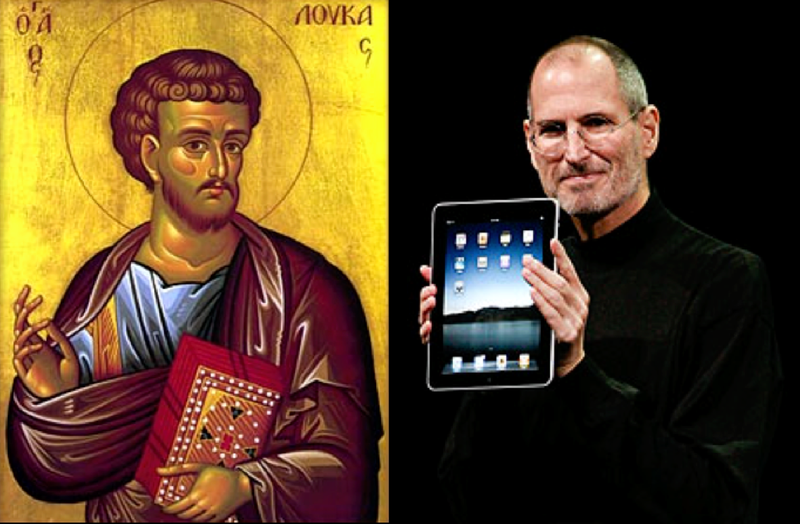 One technologically determinist argument draws parallels between the Gospel of Luke and the iPad of Steve Jobs, stating that the iPad’s technical innovation integrates all technology that has come before and shapes users’ behaviors, agency, and free will. Some point to the iPad’s status as a religious symbol and its capacity to redeem the sins of the world by simply being able to solve social problems. More controversial might be the manner in which idolatry is getting renegotiated and remediated in present-day discourse of Salafists, adherents of a branch of Islam that aims to imitate the life of the first generations of Muslims. After gaining influence in Egypt after the 2011 Arab Spring, some Salafists called for the destruction of the Sphinx and the Great Pyramids of Giza on the ground that these structures represent pre-Islamic Pagan symbols of worship. Murgan Salem al-Gohary, an Egyptian Salafist who claims he has previously destroyed Buddha statues in Afghanistan when he was fighting for the Taliban, was one of the most vocal proponents for destroying all idols in Egypt. 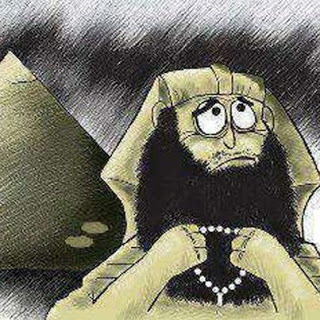 On Egypt’s Dream TV he reasoned that God ordered Prophet Mohammed to destroy all idols and to worship God alone. Arguments of strict monotheism (tawheed) are also the rationale behind many Western Salafists’ political activisms against man-made entities, especially against Western status symbols, Western democracies, and corrupt Arab governments. A political rhetoric of a superior monotheism allows the Salafists to distance themselves from, in their view, idolatrous religions like Christianity, Sufism, and Shia Islam. 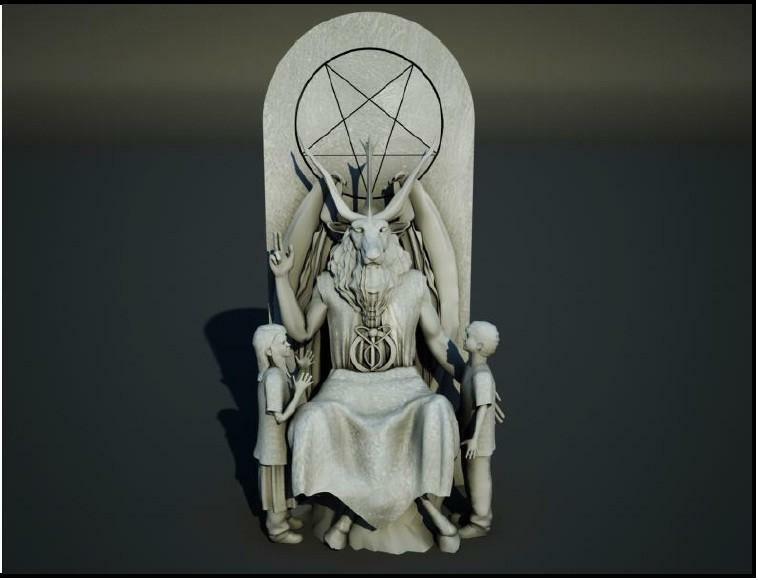 A recent controversy in the US involves the planned erection of a satanic statue next to the statue of the Ten Commandments on the statehouse lawn in Oklahoma City. Behind this endeavor is the largely Internet-based group The Satanic Temple, who published the blueprint of a 7-foot statue depicting Baphomet — a goat-headed pagan idol in a cloak seated on a throne. This statue will overshadow the 6-foot statue of the Ten Commandments by one foot and will have space for children to sit on Satan’s stony lap. The Satantic Temple promotes its cause through various media outlets and skillfully rides the wave of the media blitz around Mike Ritze, a Republican in the Oklahoma House of Representatives, who paid $10,000 in 2012 for the Ten Commandments statue’s creation after sponsoring a bill that made it legal to build it there. His monument has been criticized for being a state-sponsored advertisement for religion, and lawsuits ensued. Interesting in our discussion of the remediation of idolatry is the group’s rationale behind the statue. The website of the Satanic Temple describes their theology to be based on Anatole France’s 1914 book called Revolt of the Angels and on France’s theological metaphor of Satan as a force favoring free and rational inquiry, personal liberty, and religious diversity. The Satanic archetype, they claim, is a symbol of revolt against universal tyranny. The statue would mirror “a humanistic, benevolent Satan, driving our highest aspirations and encouraging human compassion.” As an organized religion, they provide outreach and “participate in public affairs wheresoever the issues might benefit from rational, Satanic insights.” Drawing on the language of the Constitution, they support “the liberty to express religion under a founding principle of separation of State from religion,” which they see threatened by the building of Christian monuments on State property. They purport the view that Satan is the ultimate icon for the responsible pursuit of happiness. Mesner hopes the monument will strengthen the position of the American Civil Liberties Union, which filed a lawsuit challenging the constitutionality of the Ten Commandments statue. This discussion of building a religious symbol on contested ground reminds of the controversy of erecting the Ground Zero cross after 9/11. This cross consists of steel beams recovered from the debris of the World Trade Center. Replica of the cross appeared in many places: at the gravesite of Father Mychal Judge, a Franciscan friar and Catholic priest who died on 9/11 as a chaplain to the New York City Fire Department; at the New York chapter of the Knights of Columbus in Far Rockaway, NY; and in souvenir shops at the neighboring St. Paul’s Chapel, which survived the attacks. 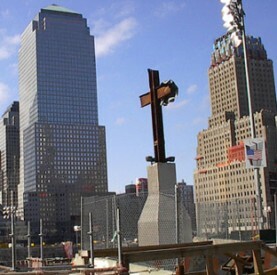 The 2006 documentary film titled The Cross and The Towers tells its story. The controversy rested in the cross resembling a Christian cross, and, while many saw it as a symbol of hope, adherents to non-Christian belief systems felt excluded. Not surprisingly, the American Atheists filed a lawsuit on the grounds of the separation of church and State. When the Communications Director for the American Atheists, Blair Scott, voiced their point of view on Fox News’ American Life, Fox’s Facebook page received 8000 death threats against the American Atheists, which were not erased fast enough before people were able to take screenshots, adding fuel to the fire.